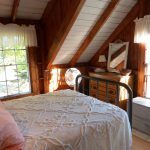 Mandalay | Maine Vacation Rentals, Inc. Step back into E.B. White’s world of Stuart Little and Charlotte’s Web in idyllic Brooklin, Maine. The summer colony of Haven, overlooking picturesque Center Harbor, came to life at the turn of the century and is delightfully reminiscent of that by-gone era. Remaining in the family for over 100 years now, Mandalay continues to be lovingly cared for with an eye toward balancing the quaint, cottage feel of yesteryear with the comforts and conveniences of today. Re-learn how to “unplug” and decompress. Enjoy the simple pleasures of relaxing on the wraparound porch, harbor gazing, reading, or playing board games with friends and family. You will also enjoy what Mother Nature has to offer you with boating, hiking, exploring the coastline and picking blueberries. Upstairs there are three comfortable bedrooms off the balcony: one equipped with twin beds, one housing a queen, and the third a full sized bed. Downstairs, enjoy lobster at a custom-built dining table for ten while watching the boats motor through the harbor. Relax in the spacious family room in front of the fireplace decorated with special finds from the shore. The kitchen also enjoys harbor views, has its own fireplace for chilly mornings, and is open to the vast living room. If a night out is desired, there are plenty of splendid restaurants to discover within a short walk or drive. We invite you to add your own treasures from the shore as the harbor is only 100 yards from the front steps. (We do ask that you remain respectful of the environment and meadow in front of us, as it is held in a Nature Trust owned by the neighbors.) Access to the shore front is at the public launch at the Brooklin Boat Yard. 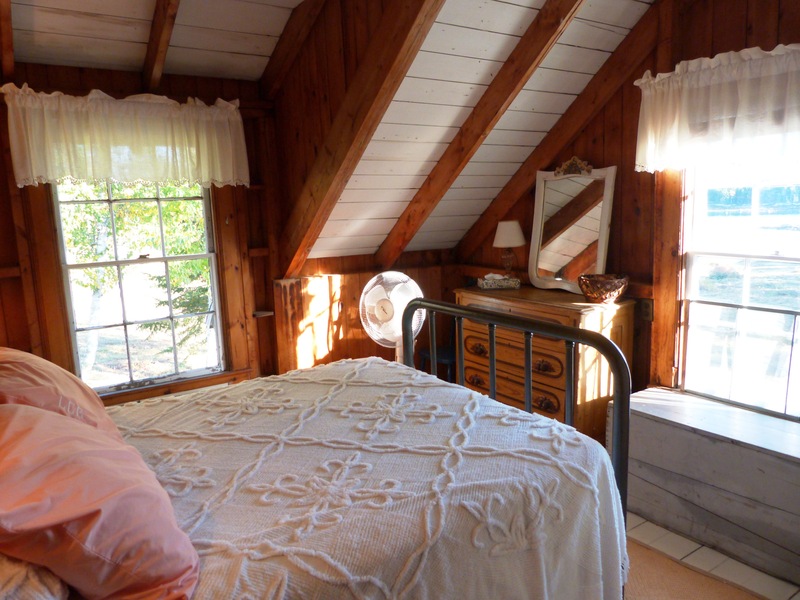 Enjoy preparing meals with fresh organic foods from the Brooklin farmer’s market, wild Maine blueberries from the front meadow, and the bounty of the North Atlantic in the fully equipped kitchen. It may be hard to tear yourself away from coffee in the Adirondack chairs on the front porch for your sail down Eggemoggin Reach or island exploring, but rest assured that cocktails on the porch will welcome you back in time to experience the best show in town put on nightly by a cast of lightning bugs and the stars in the clear night sky. No matter if you’re participating in a class at the world renowned Wooden Boat School just 3 miles away, taking part in a studio session at Kneisel Hall in nearby Blue Hill, or here simply to relax and explore Maine’s many unique and picturesque sights, Mandalay welcomes you. Hi! We had the BEST time!! The cottage was lovely and the service was perfect. I will find you on FaceBook - Many thanks.